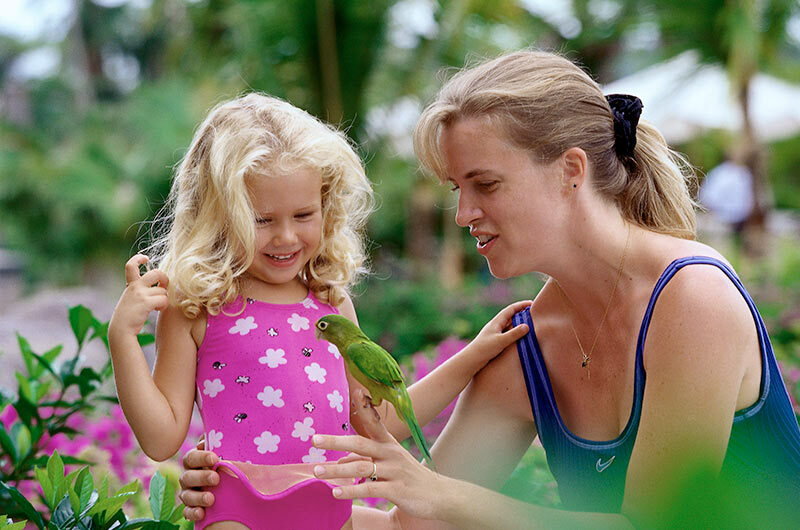 Costa Rica | Costa Rica Vacation Package | Escorted Tours Costa Rica | Costa Rica Vacation Deals | Gate 1 Travel - More of the World For Less! 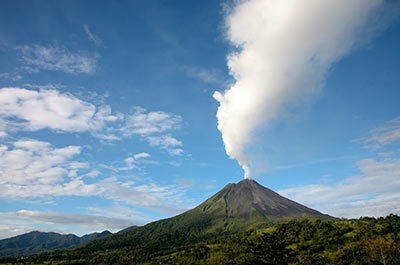 We have just returned from the 9-Day Classic Costa Rica trip. Our tour guide, Ricardo, was absolutely superb. I especially appreciated his extensive knowledge of the area and how well-organized the pace of the tour was. It definitely made our trip a fun and memorable experience. Special thanks goes to Jose, our bus driver. 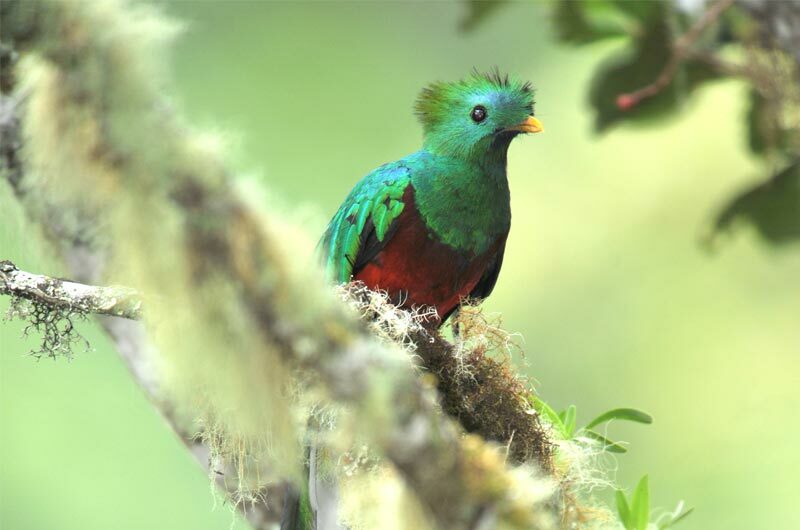 I thoroughly enjoyed the beautiful scenic vistas and local, natural wildlife as we drove across the country--from the numerous kinds of birds seen from Selvatura Hanging Bridge in the rainforest, to the relaxing Eco Termales Hot Springs near Arenal Volcano, to the beautiful sunset at Tamarinda Divia Beach. This has been one of the best tours we've had with Gate 1 Travel thus far, and we are already looking forward to the next one! We had a wonderful time! Rafael was a wealth of knowledge of the history of Costa Rica, all the wildlife that we saw, and his organizational skills were outstanding throughout the tour. The accommodations were amazing and we were so impressed with how clean all of the areas were and how friendly all the staff of the hotels were. More importantly all of the staff of Gate 1 were very kind and helpful. The bus driver Mauricio was outstanding driving that huge bus through those mountain roads, making sure the bus was spotless, and being helpful and friendly. We will definitely use Gate 1 Travel for other upcoming trips. We had a fantastic trip! Luis the guide was great, he kept the group organized, and ensured everyone's needs were met. He had so much knowledge about the country and animals and brought us to some interesting places. I would highly recommend this to my friends and family. We all had a great time. Our tour guide, Manfred, was great. All our needs were anticipated. I loved all the things that we did in nature. I loved learning about the country and culture of Costa Rica. I have already recommended this trip to others. The places that we stayed were beautiful and the food was so good. I was able to eat and drink everything, and not have any problems. What a terrific vacation! Our trip was fantastic! I can’t believe how much we saw and did in just 7 days. The itinerary and our tour guide was wonderful. The trip was wonderful! Costa Rica is a beautiful country! Our tour guide, Gilbert, did an amazing job, and our bus driver, José, was great driving on those narrow roads... we always felt safe. The hotels were stunning, and the tour itself went at a good pace and was well organized. We never felt rushed. It was terrific and we can't say enough good things about our guide Geovani and our driver Louis. Geo was knowledgeable on so many levels. Louis navigated us through some crazy but fun roads. It's amazing to be in such diverse environments in a small country. We highly recommend this trip, it has it all. 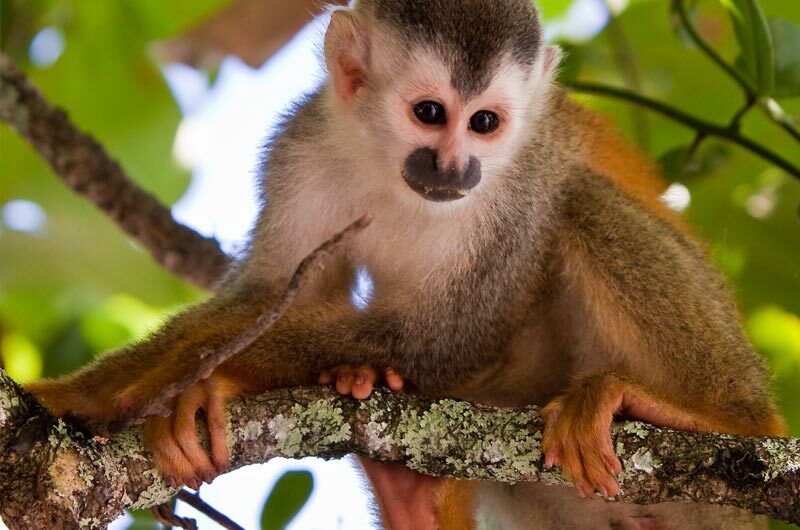 From monkeys to volcanoes to hot springs and beautiful lodging. The cloud forest is another world. Very friendly people. Grab your family and go! This trip was wonderful. Nice accommodations, good meals, great tour manager and an excellent bus driver made our stay in Costa Rica a memorable one. Looking forward to our next trip to Thailand next month also with Gate 1. Our tour manager Gilbert really made the trip. He was knowledgeable and we learned so much about he Costa Rican culture that we would not have had we been on our own. Plus he couldn’t have been more welcoming and excited to spend the 10 days with us which was awesome. Fantastic. We enjoyed every day! Amazing! The tours were animal filled and the hotels were beautiful and relaxing. Giovanni, our tour guide, was knowledgeable, humorous and very good at keeping 37 people on time. He had a wealth of both biological and cultural information that made the longer bus rides bearable. The food was beyond amazing! Thank you for another perfect trip! Already thinking about where I will go next with Gate 1. Hi! We had an AMAZING TRIP! ... Larry our tour guide was Fantastic and made our trip that much better! The hotels we stayed at were BEAUTIFUL and were more then we could have hoped for! We cant wait for the day until we can return to the BEAUTIFUL COSTA RICA!!! We look forward to joining Gate 1 on another tour, and maybe to a different destination! I hope one day I can show my 5 kids all the beauty there is to offer in Costa Rica! Thank you for making our trip the best possible .... Pura Vida!! My trip was wonderful! It was my first trip with Gate1, and it was also my first ever solo trip and I must say that I could not have been more happy with my experience. Our tour manager was great, our driver was top notch and the people I met on the trip were the cherry in top. Thank you for your help with my reservation I will definitely travel with Gate1 again. It was excellent...The guide, Edgardo, was fantastic and really displayed a love for what he did. The hotels were all nice and the group was well organized and ran smoothly. I look forward to traveling with Gate 1 in the future. Our trip to Costa Rica exceeded my expectations. From the country itself to the level of service from Gate 1 and of course our phenomenal tour guide Luis Miguel Cruz Comparaz, I couldn't have dreamed of a better vacation. Thank you for another wonderful vacation! The trip was great! The tour leader Manfred was informed, organized and kind, just terrific! Also, the driver Marvin was careful, pleasant, worked so hard to keep the bus clean in rainy muddy weather, and always a SAFE driver, just super! I’m looking forward to making another trip with Gate 1 soon. Our trip was wonderful! Ricardo Bolanos, our tour guide was wonderful!! Very personable, knowledgeable, organized, and just a great guy. Gate 1 has a real asset in Ricardo. Also, Jose , our bus driver was unbelievably good! He navigated the narrow mountain roads with numerous, narrow, one lane bridges exceptionally well. He definitely earned his money! Looking forward to our next trip with Gate 1. Trip to Costa Rica was very good. It was my first visit to Costa Rica and Gate1 did great job to show interesting places in short time. Food and accomodations were perfect, clean and in good location. Local guide Rafael and driver were excellent. It was AMAZING! The tour guide was awesome. The sites and tours made the trip so much fun. We learned a lot. The food was really good everywhere. 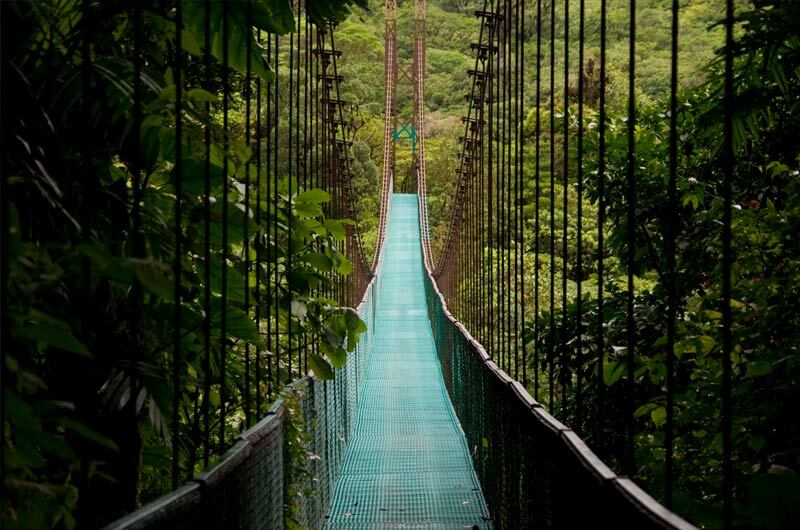 We would totally do the trip to Costa Rica over again through Gate1. We thoroughly enjoyed our trip to Costa Rica. It was everything we hoped it would be. Our tour manager, Giovanni Madraigal, was fantastic. He was very professional and knowledgeable and took great care of us to make sure everything went smoothly. I'd give this tour 5 stars. My trip was beyond amazing! One of the best vacations I have ever been on. Our tour agent Zarah was incredible!!!! I was so impressed by her, and her knowledge of the country. My husband and I, 100% will be using gate1 again! I have zero complaints. My trip was wonderful. My tour guide Zarah was great and took good care of me. Everything went smoothly and I was able to see everything I wanted to see. The accomadations were very nice. Aninga Lodge in Tortuguero was perfect. I loved the cute cabins. It was excellent, Caitlin. Exceeded my expectations. Jose, guide, and Luis, driver, were both first class. Experienced, professional, organized and very pleasant and knowledgeable. Hotels, food and excursions very good. It was a fabulous! The guide was charming, informative and very helpful, all while being extremely professional. So glad I was able to make the last spot on that tour! We had a wonderful trip to Costa Rica. Ricardo was an excellent guide. We can't say enough nice things about his expertise and professionalism. I have already recommended this trip to friends and family. Hi Nastassia, The trip to Costa Rica was amazing! We had a wonderful time. We really enjoyed all the tours and activities. Our guide, Gilbert, was awesome. The accommodations were excellent. We had so much fun traveling with this group of people. All the transfers went off without any problems. Thanks for planning and implementing a headache-free trip! It was wonderful! Our guide 'Rafael' and Driver 'Jose' were exceptional. Costa Rica was beautiful, but both of them made it even better. Rafael is intelligent, helpful and friendly. Jose was polite and could drive through almost any conditions. Rafael helped us to really 'see' what is special about Costa Rica. I have already recommended Gate 1 to others. Enjoyed it so so much. A lot of Credit goes to our guide Eduardo. Very sharp’ interesting young man who really knows his country. Would travel with him again. Thanks Gate 1. First class accommodations. Excellent food. Very competent bus drivers. Reasonable cost. Mucho gracias!! Great trip, the four of us enjoyed it almost as much as our trip to Peru and that one was close to a ten. The tour guide is a top selection for this trip; very knowledgeable in bio-science and the local and mix that with enthusiasm and devotion to duties and willingness to give of his time, and you have the best of the best. I'm quite certain we will travel with and recommend Gate 1 in the future. The trip was wonderful, the service by the Gate1 staff was outstanding, the lodgings and food were excellent and the various trips and other events great. We had a wonderful time! Our Guide, Luis Cruz was excellent and very knowledgeable about his country. We made some new friends and saw things we had never seen before. Love Gate1 for putting this trip together. The trip and all went fantastic!!!!! The guide Gilbert and driver Max were just great. Wonderful trip to Costa Rica! A real Nature lovers trip - all the tropical forests, hanging bridges, plants and animals. Lots of exercise climbing around! Great guide - Manfred. Good food, safe water, nice people. My trip to Costa Rica was one of best vacations I have been on to date. Since this was my first tour on Gate1, and the cost was so reasonable, I was wondering about the quality of the entire tour. I have to say that EVERYTHING was excellent. Our tour guide, Luis Miguel Cruz Comparaz, was so knowledgeable about the areas we visited. I could tell Luis was very proud of Costa Rica and took great pride in taking care of his family (tour participants). Our bus driver, Marvin , was an excellent driver and maneuvered that large bus with confidence. I felt extremely safe with him. The hotels, food, tours were first class. Lastly, I am recently retired and on a fixed income. Gate1 actually made it possible for me to visit Costa Rica. This will not be my last trip with Gate1. Pura vida! (That's how Gilbert told us to respond) Anyway, the trip was great. I saw more wildlife than I expected, and all of the accommodations were nice, as usual. Gilbert was an awesome guide. He was personable yet professional, and he was so knowledgeable about Costa Rica's biological aspects. Max was a true professional in his driving, so no complaints there. Overall, I give it a 10/10! I'm currently editing all of my bird and wildlife pictures, and I can't wait to share them! Awesome experience. We had a great time in Costa Rica. Your guide Luis Cruz was fantastic and we would certainly book more tours with your company! Our trip was wonderful. We enjoyed every moment. Our guide, Jose, was incredibly helpful, very knowledgeable and super funny. The best guide ever! While the trip was only 7 days, we felt like we've seen a lot, learned a lot and experienced amazing things. 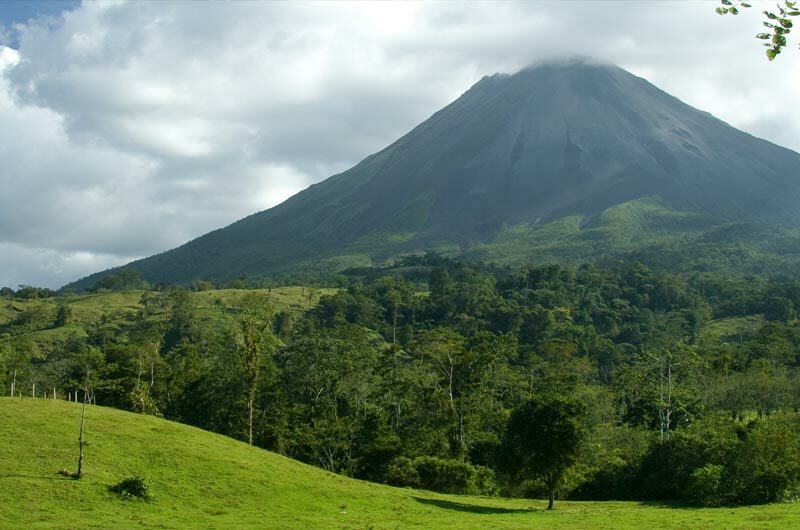 Really, every day offered unforgettable adventures, a boat ride where we saw howler monkeys, a hike in the rain forest to see a volcano nearby, a zip-lining adventure where you couldn't see the other end of the zip-line. We really had a great time. Thank you Gate 1! (also, if possible, please say thank you to Jose. He made our trip stress-free, filled with excitement, and fun. We really appreciate that!). The trip was amazing! We had such a great time. Gate1 had everything organized and ready to go down to the rest stops! Loved it! Our guide Ricardo was so fantastic! He had so much knowledge about all the places we visited, made jokes, and really just took an interest to his job and we could tell he wanted us to have a great experience. We enjoyed the optional excursions (we did all) and also the planned trips (coffee plantation and school visit). Amazing trip, met amazing people. Will travel with Gate1 again! Had a wonderful trip to Costa Rica. Very well organized every step of the way. The tour director, Gilbert was simply awesome. 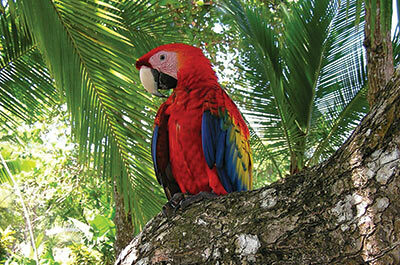 He is very knowledgeable about Costa Rica -on history, bio diversity and all kind of interesting tidbits. He was always available to address any of our problems and made sure we enjoyed the trip and did not worry about anything else. Kudos to Gate1 for having employees of such caliber. Our trip was amazing and we had the best time!! Gilbert, our tour guide was great. He was knowledgeable and we learned so much about Costa Rica and the culture. We still can't figure out how he spotted birds so high and animals hidden in leaves and trees!! He made every minute of the trip a once-in-a-lifetime moment. My husband is already planning out next Gate 1 Tour!! It was so great!! Costa Rica is very beautiful. We have had difficult experiences booking online before and it was very very easy through Gate 1. And everything was taken care of. I recommended gate1 to all of my girlfriends i went to Puerto Vallarta with in May. They were super impressed by the price and quality of my trip. So thankful to Gate 1 Travel. By the way I love the sample itinerary with recommendations for stops while we were driving to the locations. Thanks to that we got to stop off and see some amazing places we would've never stopped at!! Please continue that! We had an amazing time and Geovanni our tour guide really enhanced our Costa Rica experience. It is amazing how much packed into one day. His stories and descriptions of the sites and the land and the history was phenomenal. His ability to relate to the children and engage them was also quite fantastic. We learned so much from Geovanni and had lots of fun. The driver Alex was great as well. I would highly recommend this trip to our friends & family. Thanks again Geovanni for making the trip memorable. Our trip was fantastic, as always! We had a great time. Costa Rica is beautiful. Our guide, Ricardo, was awesome! He is knowledgable, patient, and quickly made a connection with our group. Thanks for the follow-up. We’re looking forward to our next Gate 1 trip! It was the best trip my wife and I have ever taken. Costa Rica is an amazing country. The places we stayed and the sights we saw were exceptional. And our tour guide was perfect. Our trip exceeded my expectations. We had a wonderful time in Costa Rica. Our guide Luis was exceptional, he took his job seriously, he made sure that everyone in the group was having a good time and safe. But, the most important thing is we learned so much about Mother Nature, Costa Rica, and the restaurants we went with the tour and the hotels were exceptional. Thank you Gate 1. Great trip - Luis was our guide and was very organized and knowledgable. We had a great trip! Gate 1 is doing a fine job getting these trips organized. The tour manager, Jose, was a very good manager. We have been on 10 Gate 1 trips and Jose was the one of the best. He was so well organized. It was fantastic! Edgardo, our guide was so patient, kind, knowledgeable and fun! Kudos to him and to our driver who did a such a skillful job. The itinerary was wonderful, accommodations beyond expectations and so gorgeous, food was delicious, and our group was such fun. It was an amazing experience. Thank you for asking! We had a great time! Our tour guide Luis was amazing. The country is beautiful and we saw a lot of nature and got along well with the others in the group. We did all the optional side trips which were definitely worth it. Accommodations and food were very good and all in all it was a great trip. Thank you! Looking forward to the next Gate 1 vacation!